BRUCE Hwy traffic was sent into chaos yesterday morning after a petrol tanker carrying 30,000l of fuel erupted into a fireball. The truck's driver was lucky to escape with his life after his rig clipped a guard rail 3km north of Maryborough yesterday, then rolled into a ditch as flames took hold. He smashed a window with a fire extinguisher to escape, just moments before the truck exploded into a terrifying inferno. Burning fuel spilled from the tanker, sending a stream of fire into the gully and setting trees and grass alight. The crash at Deadman's Gully blocked the highway from about 6.40am, with southbound traffic diverted at Childers, via Biggenden and northbound traffic diverted through Maryborough. By about 8am, traffic was banked up for several kilometres each way along the highway, and diversions remained in place all day. The road was expected to re-open last night about 6pm, but will be closed again this morning as crews start to repair the damage. Childers businesses were feeling the impact. Churchill St business Myatt Jewellers reported a downturn in trade thanks to the highway being cut. "There hasn't been all that much traffic on the roads today and there's not much stopping in town," employee Cathy Maywald said. "Foot traffic has been particularly quiet. "Mondays are normally a pretty quiet day but it's been a slower-than-usual Monday." Rudz Cafe owner Trevor Greaves was resigned to shutdowns on the Bruce being part of life in the town. 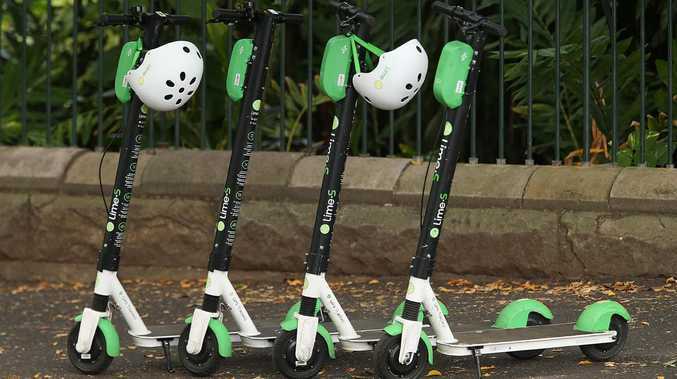 "Highway closures are becoming an increasingly common occurrence that we have to work with as a business in Childers," he said. "We've been busier over the last couple of months but today seems normal. "Today has been a pretty typical Monday. "We just have to get used to the highway being closed." 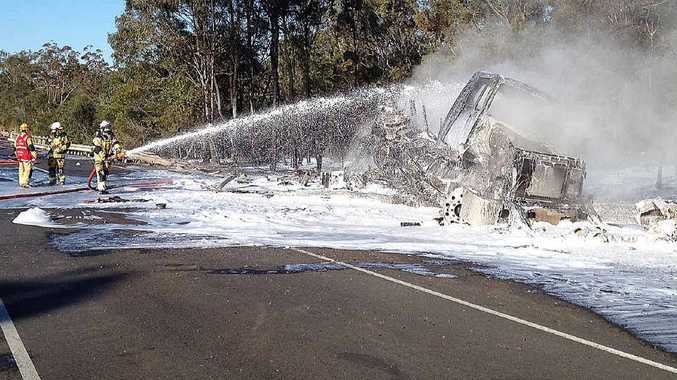 Maryborough Queensland Fire and Rescue Service Superintendent John Bolger said crews at the scene were hampered by the limited water available on the Bruce Hwy. An extra water tanker was brought in from Tinana, while hoses pumped more water from the industrial estate near Sexie Coffie. Rural fire brigades from Tinana and Burrum Heads helped Maryborough and Torquay firefighters to bring the blaze under control, with foam used to douse the flames. "They acted extremely well in what was potentially a dangerous situation," Supt Bolger said. "A fuel tanker fire is not something we would get very often, but we are keenly aware of situations like that."